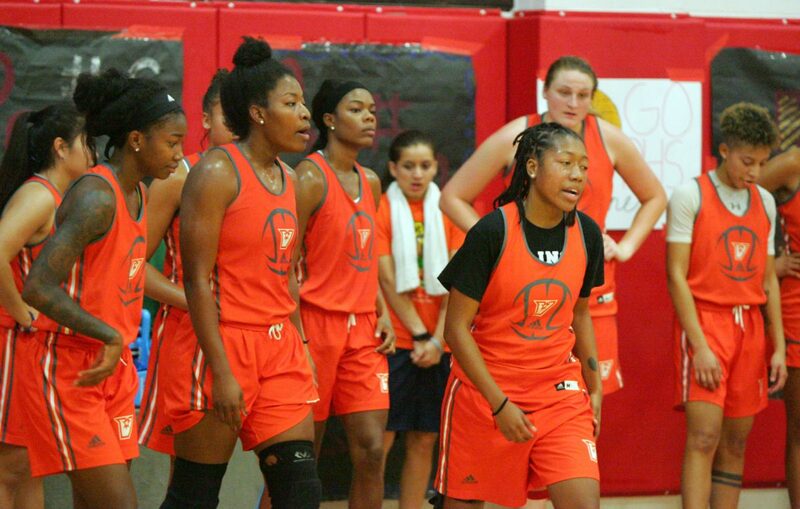 EDINBURG —UTRGV women’s basketball guard Jameka Dowell first learned how to shoot during fifth grade. She copied the form of one of her friends, who had the unfortunate habit of adding a kicking motion to the end of her jump shot. 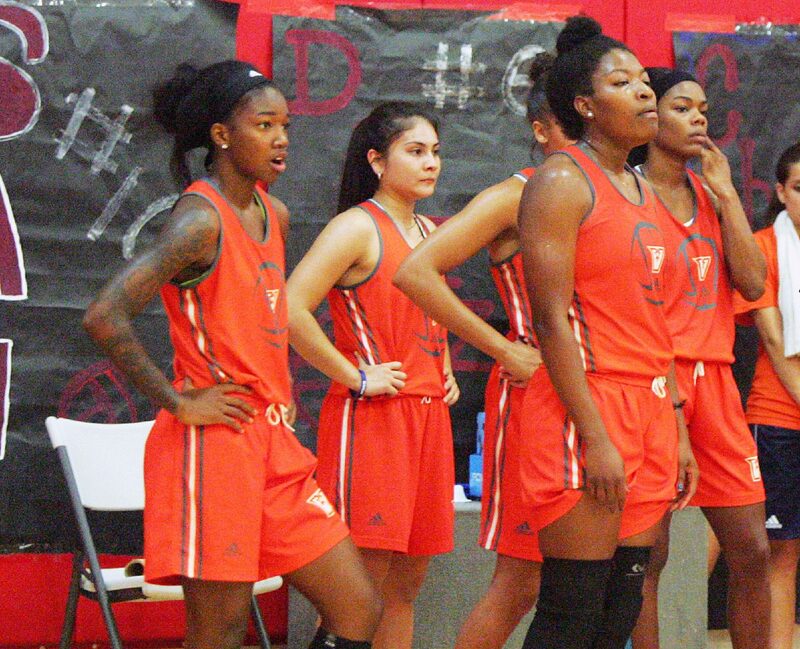 From the moment Dowell stepped on UTRGV’s campus this season as a junior out of Highland Community College, coach Larry Tidwell has been focused on improving her footwork. And while she’s still not an elite shooter, she’s made enough progress to punctuate her role as a lockdown defender with just enough scoring punch, becoming a reliable starter for the Vaqueros. Dowell is averaging 7.2 points per game for UTRGV, which is preparing to kick off the UTRGV Holiday Classic at 7 p.m. tonight against Canisius. UTRGV (9-4) will also meet USC at 7 p.m. Wednesday, marking the first time a team from a Power Five conference has played in the UTRGV Fieldhouse since the program hosted Texas A&M on Dec. 18, 2000. A two-time NCAA champion, USC (8-1) is still receiving votes in the AP top 25 poll after suffering its first loss of the season to Texas A&M on Friday. UTRGV is on a run of three straight winning seasons — the first three winning years in the program’s Division I history. Tidwell said that newfound success played a part in luring a bigger program to the Valley, but he also pointed to his relationship with USC coach Mark Trakh. Tidwell said they’ve been friends for 25 years, most recently crossing paths when Trakh was the head coach of UTRGV’s WAC rival New Mexico State prior to taking the position at USC this year. Dowell has proven to Tidwell that she’s ready for just about any matchup, as he heralds her as the team’s best perimeter defender. Tidwell said Dowell has outstanding quickness and a mentality that she always wants to be one-on-one with the opposing team’s top perimeter player, regardless of her size or skill set. UTRGV faced Texas Tech on Sunday and held All-Big 12 honorable mention Recee’ Caldwell to 11 points on 4-of-9 shooting with four assists and six turnovers, though Texas Tech pulled out an 80-64 win. Offensively, most of Dowell’s success comes from her speed. On the year, she’s shooting 39.2 percent from the field and 21.4 percent from beyond the arc, and Tidwell is hoping a continued focus on her footwork will help improve those numbers. In the interim, the goal is to get her out and running in transition so she can beat the opposing defense down the floor. Dowell said her confidence has grown through the year, and she was recently promoted to be one of UTRGV’s three team captains. As a newcomer, she wasn’t tabbed for the role prior to the year, but Tidwell said he selected her for the position during the season after seeing her passion, commitment and work ethic. Megan Johnson, another team captain for UTRGV, said Dowell has made an impact with both her mentality and her play.